Just because something’s practical doesn’t mean it has to skimp on style. As long as it’s functional, meets your daily needs and your budget, we say the more wow factor, the better. 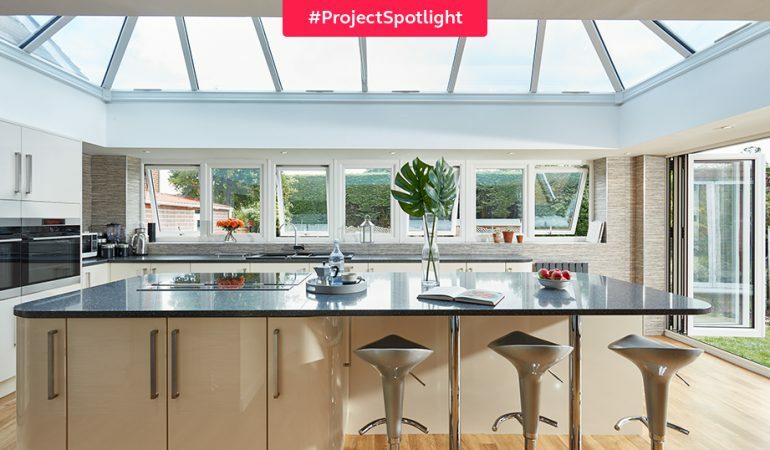 That’s how we feel about kitchens; they’re one of the most – if not the most – practical spaces in a house. It’s where we cook, feed each other, congregate and so much more. But if we’re spending so much time there, surely it should be at least a little stylish, right? For the Hayes family, a stylish kitchen space was a must-have. 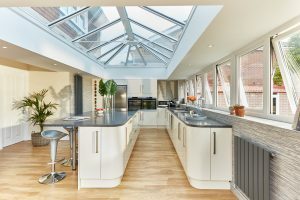 That’s why they went for an orangery, built to the nines with a gorgeous lantern roof, white uPVC kitchen windows and bi-fold doors that let in endless amounts of sunshine. 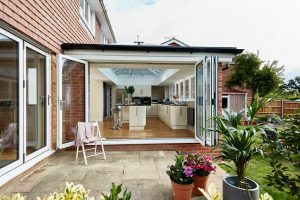 It’s decked out with the utmost style in mind, and is a place that not only serves a functional purpose, but is a definite focal point in their home. Who wouldn’t want to spend hours here? In fact, if you’re looking for us around dinner time, you know where we’ll be. 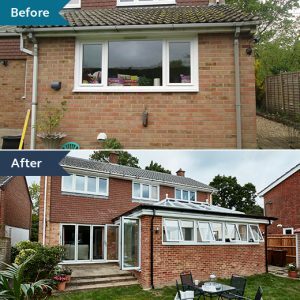 Q: Please can you explain why you decided to have an orangery installed? A: Confidence in using a market leader and reputation for them being the best. A: After looking at the Anglian product and design, I never felt the need to talk to anyone else. A: The design service and advice made the decision very easy. A: Everything ran very smoothly; there were no problems at all. A: The wow-affect has been incredible. 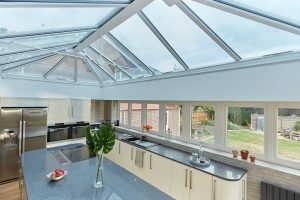 During the very hot summer, even on a south-facing orangery, it never became too hot. How have you made your functional spaces more stylish, but still fit for purpose? Let us know on Facebook!